On Oct. 31, 2008, at 2:10 p.m. EDT, the creator of the Bitcoin network, Satoshi Nakamoto, announced the publication of the protocol’s whitepaper using a Vistomail email address. 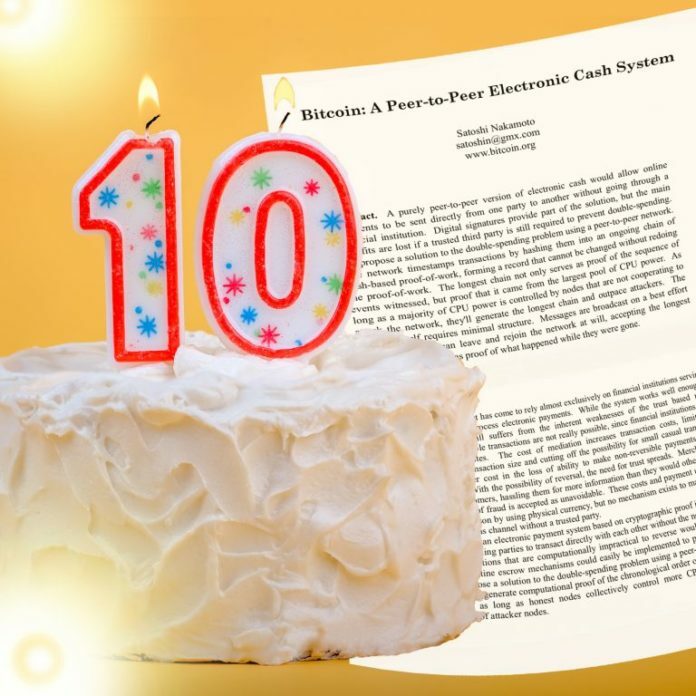 It’s now been 10 years to the day since Satoshi’s idea was first revealed to the world — an idea that unleashed the first pure peer-to-peer version of electronic cash. 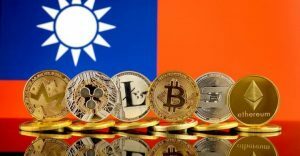 “A purely peer-to-peer version of electronic cash would allow online payments to be sent directly from one party to another without going through a financial institution,” he said to anyone who would listen on a cryptography mailing list. However, unlike the droves of theoretical papers written about online currencies before Bitcoin, the original whitepaper captured the essence of the entire network, well before it launched on Jan. 3, 2009. Since then we have seen this grand digital asset experiment play out, as the technology has gained value and mainstream attention over the years. We’ve seen the power of Nakamoto consensus create a computational system that has shielded any attempts at a “Byzantine Generals’ attack” for 10 years. “The network timestamps transactions by hashing them into an ongoing chain of hash-based proof-of-work, forming a record that cannot be changed without redoing the proof-of-work,” Satoshi said in the renowned document. The Bitcoin whitepaper has since changed the lives of many people. For the first time, internet-based commerce did not have to rely on financial institutions to process electronic payments. Many bitcoiners will tell you it’s been a long run, with many market fiascos and interesting developments along the way. But even after 10 years, they will also assure you that we are still at the beginning of the financial revolution ignited by the technology we all love. The first encounter with Satoshi 10 years ago on Oct.31, 2008. Despite the warnings of financial bigwigs like Warren Buffet over the years, as well as countless horrible economists, Bitcoin is definitely still alive and well. For example, Alejandro de la Torres, the vice president of business operations at BTC.com, holds a very different opinion about the technology than the likes of traditional bankers such as Jamie Dimon. The BTC.com executive believes that Satoshi’s protocol is one of the most revolutionary computational consensus models that society has seen to date. “Bitcoin’s PoW algorithm has proven to be the most successful consensus model, and I believe it is the best way forward for decentralized consensus systems. It provides a strong economic incentive for miners, while automatically adjusting difficulty to maintain long-term mining incentives,” he recently explained to news.Bitcoin.com. Bitcoin.com keeps an archived version of the Satoshi Nakamoto whitepaper here. What do you think about the Bitcoin whitepaper? How did you feel when you read Satoshi’s words for the first time? Let us know what you think about this subject in the comments sections below. Images via Shutterstock, Jamie Redman, and Pixabay.